Sally Yates To Testify In Russia Hearing. Susan Rice? Not So Much : The Two-Way A Senate panel is scheduled to hear testimony from the former acting U.S. attorney general and the former U.S. spy boss, James Clapper. But former national security adviser Rice declined to appear. Former acting U.S. Attorney General Sally Yates, who had warned the Trump administration about Michael Flynn's Russia ties, was fired by President Trump in late January over another controversy. A Senate hearing Monday on Russian meddling in the 2016 election is expected to feature two powerful Washington women, one of whom will be in the room — and one of whom will not. Former acting U.S. Attorney General Sally Yates and former Director of National Intelligence James Clapper, both of whom served under President Barack Obama, are set to appear before South Carolina Sen. Lindsey Graham's crime and terrorism subcommittee of the Senate Judiciary Committee. But Graham and his fellow Republicans also may focus heavily on former national security adviser Susan Rice, who declined to appear. Democrats want Yates to describe what she told White House officials shortly after President Trump's inauguration about the FBI's investigation into then-national security adviser Michael Flynn. Yates' Jan. 26 meeting in the executive mansion reportedly was to notify the administration that the FBI believed Flynn could be vulnerable to Russian blackmail. He resigned weeks later. A former member of the Obama administration says that wasn't Trump's first caution about Flynn. The former official says Obama gave then-President-elect Trump a warning about Flynn, based on his job performance as head of the Defense Intelligence Agency. Flynn ran that agency for two years during the Obama administration but was fired, reportedly over management issues. White House press secretary Sean Spicer confirmed that Obama "made it clear that he was not a fan of Gen. Flynn's" but suggested that could be interpreted as "bad blood" motivated by Flynn's criticisms of Obama, rather than a substantive warning. "If President Obama was truly concerned, why didn't he suspend Gen. Flynn's security clearance?" Spicer asked at a press conference Monday. Since his brief tenure as Trump's national security adviser, Flynn has offered to tell his story to congressional committees in exchange for immunity from prosecution — an offer that so far no one has accepted. 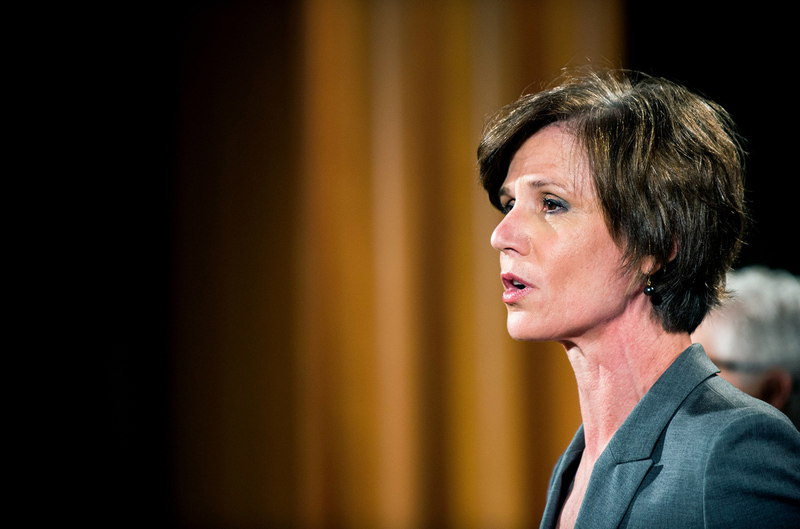 Trump fired Yates, who had continued serving into his administration before he had nominated his own attorney general, in late January over another controversy. Graham and Republicans, however, want to ask the witnesses about how details of Flynn's conversations, and other classified information, found their way into The Washington Post and other newspapers ahead of Trump's inauguration. That's why Graham wanted Rice to be there. Republicans say the real issue in the Russia imbroglio is that she might have run a secret political snooping operation, abusing her power to view intelligence so she could spy on Trump and his aides. 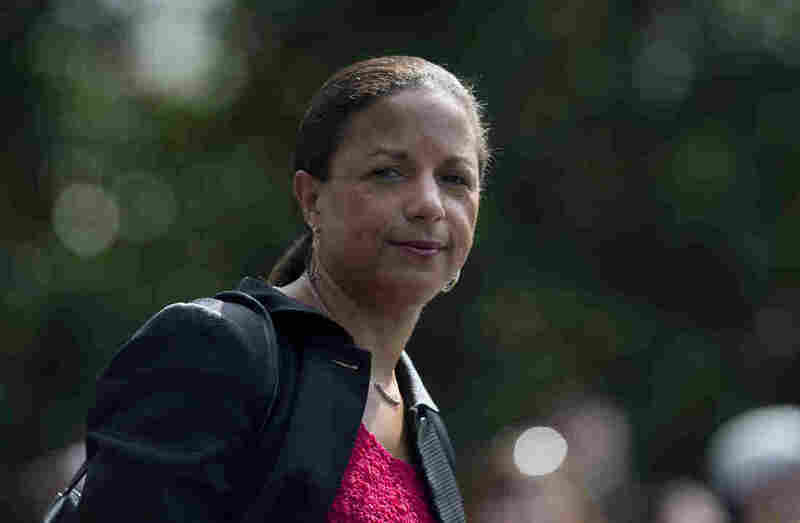 Rice has denied any wrongdoing, then or now, and supporters who have viewed the classified material related to the recent surveillance case say there's no evidence of anything illegal. Graham and Rice have a long track record. He criticized her fiercely over her role in explaining the cause of the 2012 attack on the U.S. diplomatic mission in Benghazi, Libya, and was one of the leaders in the successful effort to block Obama's effort to make her secretary of state. Trump has sometimes accepted the intelligence community's verdict that the Russian meddling took place, sometimes said its causes were unknowable, and sometimes says he believes the whole story is a smoke screen created by Democrats. He accused Obama of wiretapping him during the transition and told The New York Times he thought Rice may have committed a crime. Trump wrote on Twitter on Monday that he hoped Yates is asked how reporters got the news about her discussions with the White House. Spicer, asked whether Trump had any evidence to support the implication that Yates was connected to the leak, said in a press conference that the president's tweet "speaks for itself." Republicans argue this story is really about the abuse of classified information, and partisan skirmishing along those lines sidelined the House Intelligence Committee's inquiry into the Russian mischief, although the leaders of that panel tried to make a case last week that they're back on track. Yates was originally slated to appear before a House Intelligence Committee hearing that was canceled. White House officials rejected the notion they tried to throw up a roadblock to her appearance before members of Congress. Spicer said March 28 that the administration had no objections and that he hoped Yates would testify — as she is scheduled to do at 2:30 p.m. ET Monday. Similar feuding complicated Rice's involvement in Monday's Senate subcommittee hearing. Graham wanted her to appear. But the panel's top Democrat, Sheldon Whitehouse, did not agree to invite her, calling the Rice storyline a "distraction." Citing this "significant departure from the bipartisan invitations extended to other witnesses," an attorney for Rice wrote the subcommittee last week to say Rice would not testify. The letter was first reported by CNN. Before that, the question of Yates' testimony also was a sticking point. Adam Schiff, the top Democrat on the House Intelligence Committee, told NPR he believed the Trump administration had tried to stop Yates from appearing because it feared the embarrassment she might cause. Yates reportedly told White House Counsel Don McGahn in January that Flynn hadn't told the truth about his discussions with Russian Ambassador Sergey Kislyak during the presidential transition — and that the Russians could use that knowledge to blackmail him.